Forget genius – musical devotion is about love. 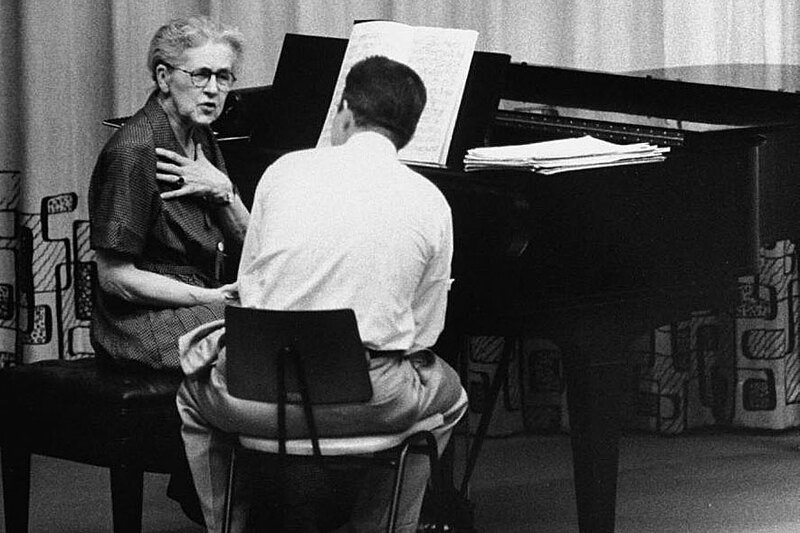 “Can you live without music?” is the question from Nadia Boulanger, the legendary music teacher. When she talks about the fear of encouraging too many people, this is the teacher who taught Daniel Barenboim, Aaron Copland, Quincy Jones, Philip Glass, Astor Piazzolla — and the list goes on. And this isn’t “those who can’t, teach” — on the contrary, Boulanger broke ground for women at the conductor’s podium, taking the baton in front of a number of the world’s best orchestras and premiering the likes of Stavinsky and Copland.